"Oh, what is man that he shall dare to sit in judgment over his fellows! God alone is the Judge. He who gives life may alone give death!" One would think that a book of only 25 pages would be a no-brainer, easy read with not much to say, but that's just not the case here. First published in 1829, this little pamphlet-sized story kept me up well past two a.m. this morning thinking about what I'd just read. 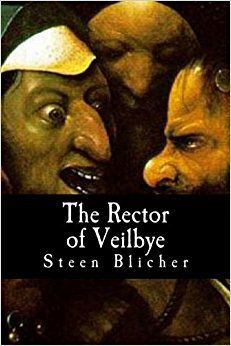 The Rector of Veilbye has often been touted as "the first crime novel," and is based on real events. According to the back-cover blurb, "The trial of Pastor Søren Jensen Quist of Vejlby took place at Aarhus in 1626," and involved the disappearance of a farm laborer in 1607 employed by the rector. Evidently, over a decade later, bones were dug up on the rector's land that were believed to belong to the missing man and the rector was blamed. Also noted on the cover is the fact that this little book was "selected for inclusion in the Cultural Canon of Denmark," and that one official noted the "elegiac pain and discomfort in an eerily intense drama." It may actually be the first Scandinavian crime novel -- obviously I can't say that for sure, but 1829 is still quite early in the crime fiction game so it's entirely possible. The story is revealed through journal entries from two different people -- District Judge Erik Sorensen, who outlines the main events of the case as well as his own involvement and how it affects him personally, and then a pastor from Aalso, who lets us in on a most harrowing aftermath some 21 years later. Sorensen has a role here other than just district judge -- he happens to be betrothed to the daughter of the titular rector of Veilbye, Soren Quist, who has been accused of murdering one of his servants "in a fit of rage," and then burying the body in his own garden. To tell is to spoil, especially in this very short but powerful work, so I'm not going to give away any plot details other than what I've said above. At the same time, a note to readers: don't be fooled by its size -- there is a lot going on in this little book. Not only is it a no-frills story of a crime (and I'll leave it to readers to decide which acts here are actually criminal), but it also provides a great argument against capital punishment, while also examining the links between religious beliefs and the law. It's also, I'll argue, a book that puts the reader in the unhappy position of judge -- considering the evidence as it's given here, it's simply impossible not to find yourself trying to make up your mind one way or the other, just as Sorensen had to do. For readers entrenched in modern, fast-paced, violence-laden crime fiction, this book may seem to be a nothing sort of work. That certainly wasn't my reaction though -- it actually became an incredibly sad and thought-provoking story as I considered the moral implications vs. the legal, and as I said earlier, it kept me awake long after having finished it. Considering that it's not even thirty pages long, well, that's power. I have to wholeheartedly agree with the Danish official noted above who said that "the story is difficult to shake off" -- there is definitely a lot of truth in that statement. Anyone who is at all interested in the history of crime fiction needs to read this book, but really, given what happens in this story, well, it's actually a book for everyone. Amazing. Good find! Love your explorations lateley into the roots of crime fiction. Thanks! It's really fun for me, and I'm really grateful that so many are coming back into print. 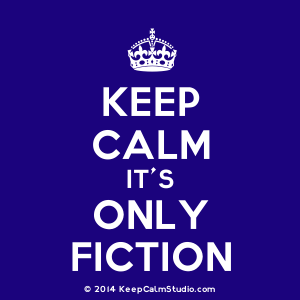 I suppose I could use Project Gutenberg or some other site where there are free downloads, but I'm a book-in-hand sort of reader.